The families of the victims of AirAsia flight QZ8501 will be offered $US100,000 in compensation by the airline as those searching for the plane claim they are just hours away from finding the plane's black box. It follows an offer of $US24,000 after family members were given a draft letter from AirAsia, which detailed its initial compensation deal,CNN reported. 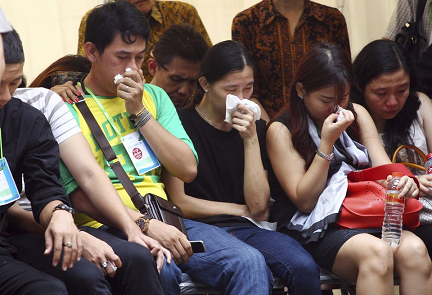 Flight QZ8501 crashed over the Java Sea just 40 minutes after it left Surabaya Airport on December 28.